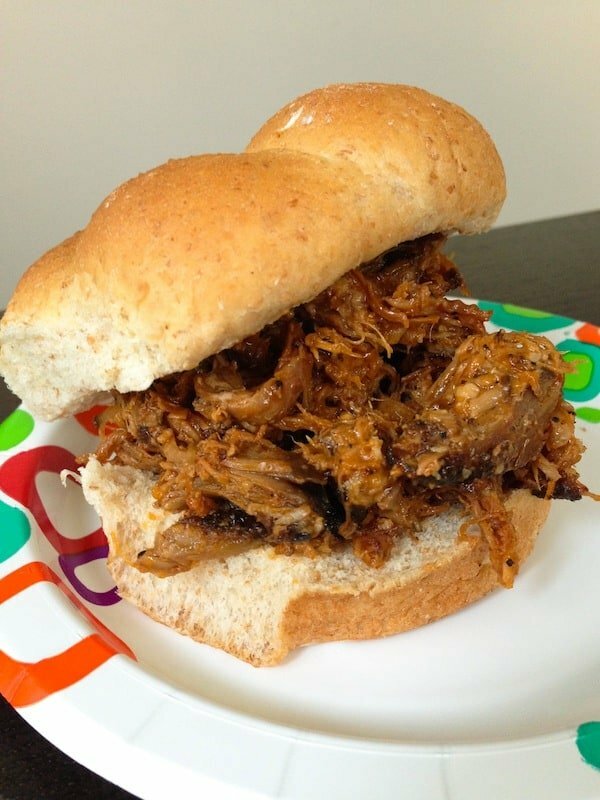 Smoked Barbecue Pulled Pork Sandwiches – While we’ve done grilled pizzas for the last two sangria parties, Jeff got a smoker for Christmas last year and has been smoking up a storm ever since. One of his favorites is pulled pork, so I figured I would let him take the reigns for the entree this year. He smoked and pulled a couple of pork shoulders the weekend before the party, then we had to throw it in the freezer until a few days prior. 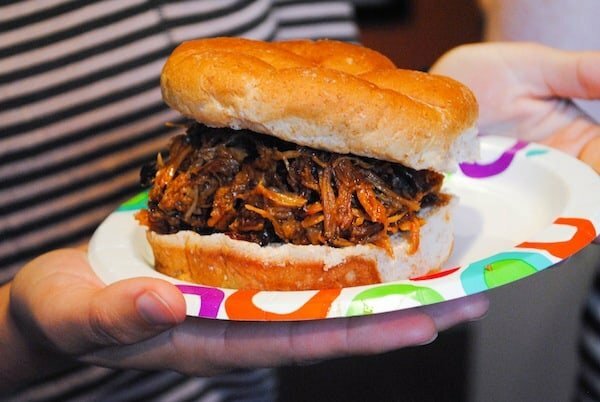 Right before the party started, we transferred the thawed pulled pork to a large slow cooker and added our favorite barbecue sauce, and set it on low heat. By the time we were ready for dinner, the pork was piping hot and all I had to do was put out a plate of hamburger buns. Lentils Like Baked Beans – This recipe is from The Art of Living According to Joe Beef: A Cookbook of Sorts, a cookbook I brought back from a trip to Montreal. 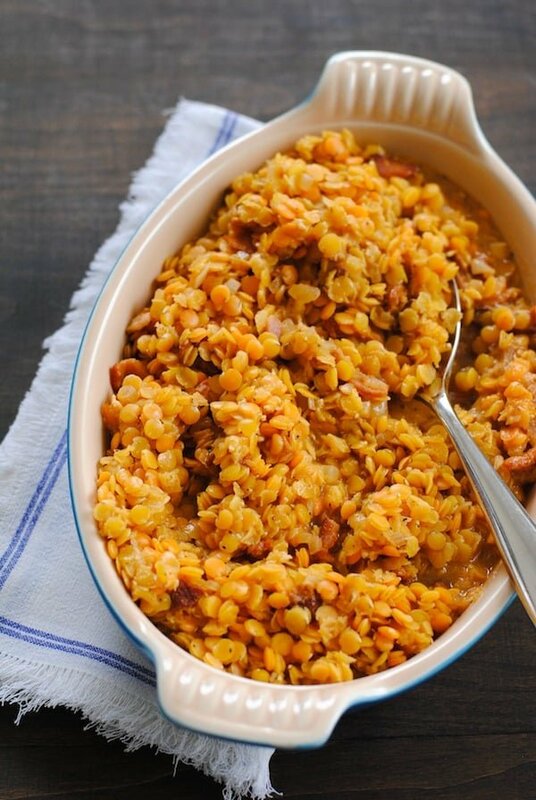 I’ve seen it described as “an ugly but tasty riff on baked beans that’s made with red lentils.” All of that is true – this dish is not a looker, but it is absolutley delicious. I even made a version of this dish into Lentil Sloppy Joe Lettuce Wraps last year. People seemed to be generally a little weirded out by the idea of these, but then also seemed to enjoy the flavor. 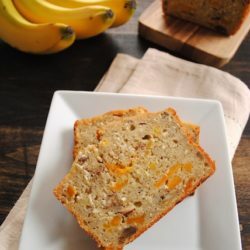 I made these according to the recipe the day before, but baked them for only half of the time called for. Right before the party started, I transferred the half-baked lentils to a slow cooker set on low and let them finish cooking until it was time for dinner. 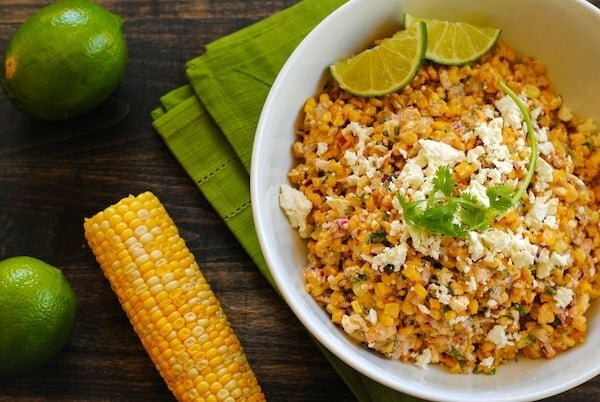 Roasted Mexican Street Corn Salad – It was kind of ironic that somebody at the party actually asked me “what are your favorite recipes on your blog?” I told them, “Well…that corn you’re eating? That’s one of them!” Because it totally is. I find the flavor of this corn salad so incredibly addictive that I knew my friends would love it too. 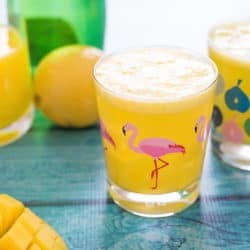 It takes advantage of in-season sweet corn, and can be made the day before (the flavor gets even better if it sits overnight) and served chilled. Millionaire’s Fruit Salad – Full background on why this salad got it’s name, and what fruits I consider appropriate and inappropriate in a fruit salad here (warning: it’s a rant). 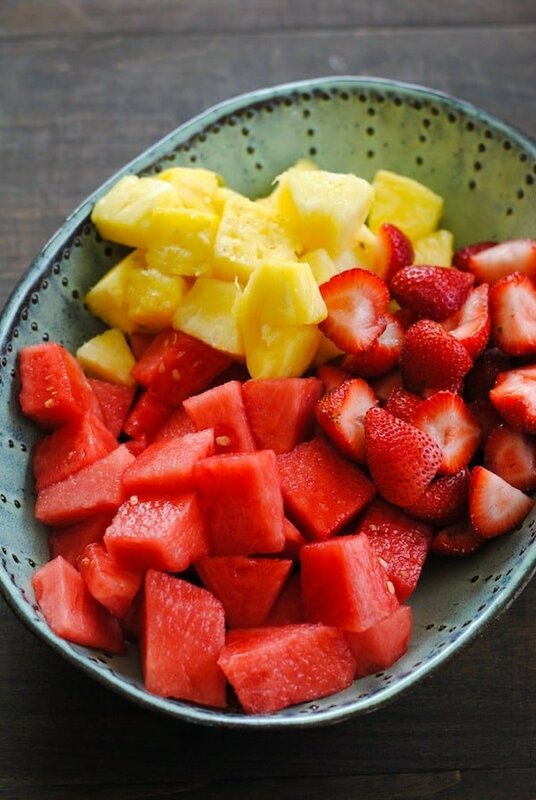 While this was pretty much the best fruit salad ever, it wasn’t very popular as a dinner side dish. I’m sure people just filled up on fruit garnishes for their sangria, so by the time dinner was served, they had basically already eaten several servings of fruit salad out of their sangria glasses. Oh well – no harm, no foul – I ended up just eating the leftover fruit salad for breakfast for the next several days. But I deemed fruit salad unnecessary for future sangria parties. 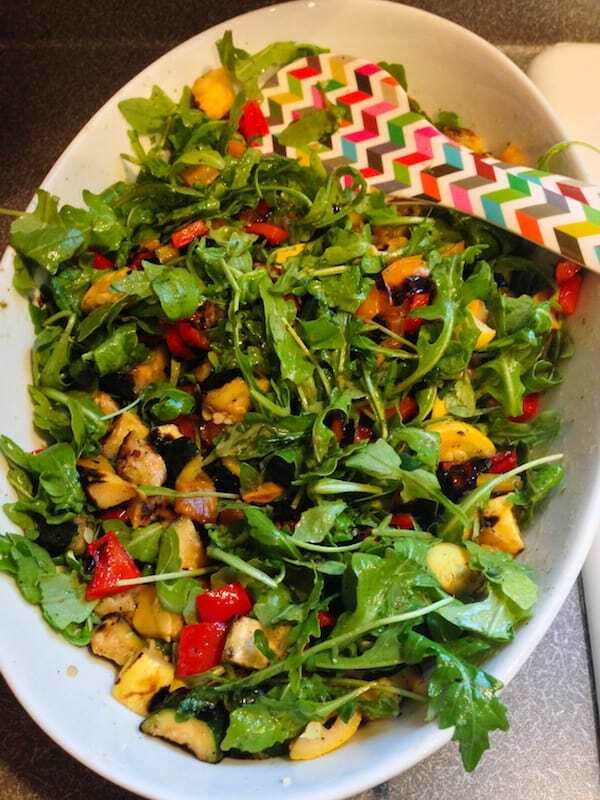 Grilled Vegetable & Arugula Salad – Because I feel that no buffet dinner is complete without some sort of green salad, this was my attempt at a seasonal green salad. I grilled zucchini, yellow squash and red peppers the day before, and cut them into small chunks. Then right before serving dinner, I tossed the grilled veggies with arugula and Greek salad dressing. I didn’t get a great photo of this, but you get the gist. I know I don’t normally post on Fridays, but I’m making an exception this week for a very important reason: we still have dessert to discuss! Lots of great things this year, so be sure to stop back tomorrow to find out all about it! That’s it. I’m crashing your place next year and attending your sangria party. I want to drink my weight in sangria and eat all the delicious things! 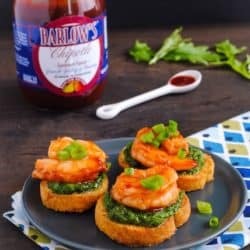 My mouth was watering with each new dish you introduced here. Don’t be too hard on the lentil salad – I think it looks fantastic in your photo! Kudos to Jeff on that righteous pulled pork.